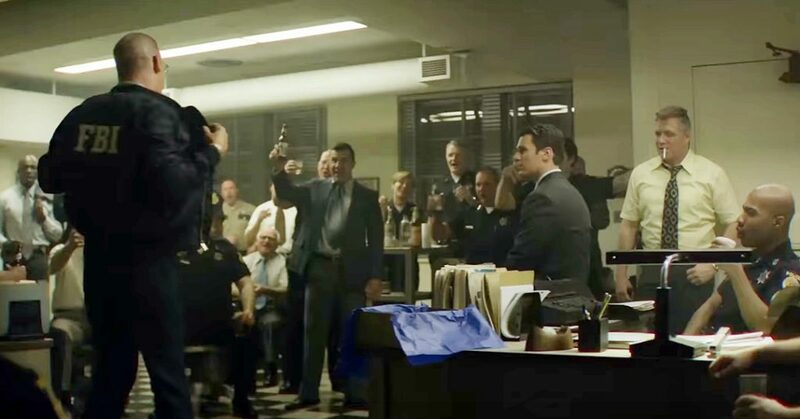 Based on Mark Olshaker and former FBI Special Agent, John E. Douglas’ Mind Hunter: Inside FBI’s Elite Serial Crime Unit, David Fincher’s Mindhunter features feds trying to get inside the minds of serial killers (basically the description of my once and former other dream job). Picture Clarice and Hannibal; that’ll give you an idea of what this series is about — attempting to solve horrific murders with the aid of jailed killers. Jonathan Groff (Looking, Glee, The Normal Heart, Frozen), Holt McCallany (Blue Bloods, Blackhat, Lights Out, Golden Boy) play the lead agents, with Anna Torv (Fringe, Secret City) as their consulting psychiatrist; The Americans’ Cotter Smith is Jack Crawford, if you will — aka the unit chief. This reminds me: Bryan Fuller, we need Hannibal back RFN (Right Effing Now). *Update: Netflix released a second trailer today, and announced Mindhunter‘s October 13th premiere. Mindhunter is written by Joe Penhall (The Road), directed by David Fincher (3 episodes), Asif Kapadia (Amy, Senna, The Return, The Warrior, 2 episodes) and Andrew Douglas (The Amityville Horror , 2 episodes), and co-produced by Charlize Theron. Catch it streaming on Netflix beginning October 13, 2017. Tags: Andrew DouglasAnna TorvAsif KapadiaBill TenchCharlize TheronClarice StarlingDavid FincherHannibalHannibal LecterHolden FordHolt McCallanyJoe PenhallJonathan GroffMind Hunter: Inside FBI’s Elite Serial Crime UnitMindhunterMindhunter October 13thMindhunter premiere dateMindhunter trailer 2NetflixShepardWendyWhen does Mindhunter premiere on Netflix?